I was born in Nottinghamshire in 1961 and at the age of 10 years old that I developed an interest in photography. I went armed with my Kodak Instamatic 126 and snapped anything from relatives to holiday scenes. Over the years my passion and interest in art and photography grew, taking travel and landscape shots with a Praktica SLR and moving to Nikon and Canon SLR and then Nikon and Canon Digital SLR Cameras, lenses and various equipment. I then began to photograph motor sport as my involvement in this area grew. management roles on events such as the RAC Rally and Rally Wales GB. On this site you can view images from the many motorsport events that I have caught on camera. I attend various National, International and some European and World motorsport events and have worked for some teams, drivers, circuits and media outlets. 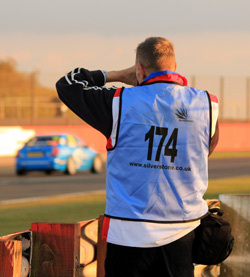 I have gained accredited media status with the Motor Sports Association United Kingdom and also at Donington Park Circuit, a circuit that brings back many memories over the years, both as a spectator and marshal and now as a photographer. I have also driven the circuit on a number of occasions and it’s so good to see it back on the racing calenders and to its former glory. However if you would like to get on-board with us please feel free to contact me to discuss your photographic requirements. 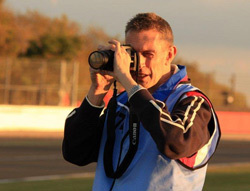 I am based in Nottinghamshire but available to attend anywhere in the UK and Europe to provide photographs and editorial throughout a motorsport season, at individual meetings, or test days as well as motorsport or car related launches, events, shows and functions to a variety of media and publications. If you are looking for something more specific, do feel free to contact me as not all my images are featured on this website. Thanks for visiting the site and I hope you enjoy looking through the images on the site as much as I have enjoyed taking them.